March | 2010 | amidoinitrite? 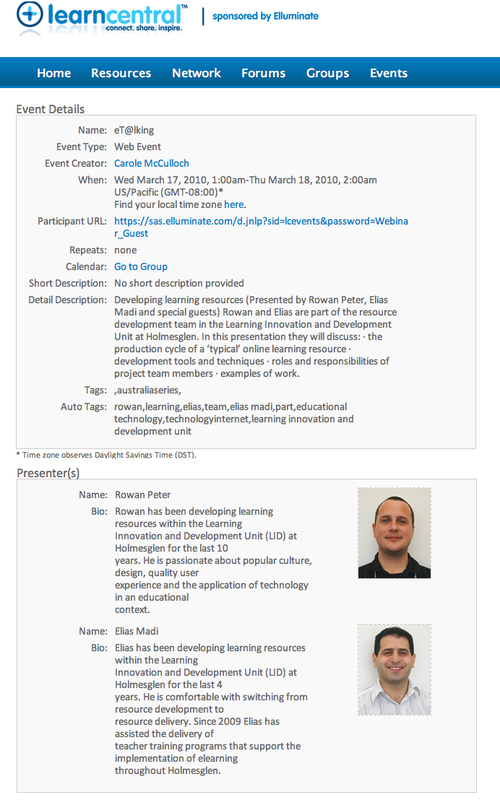 In March this year I co-presented ‘Developing learning resources’ as part of Learn Central’s eT@lking web events. eT@lking is one of the many events that are organised by The Australia Series Learn Central group. The Australia Series are Elluminate events held at Australia-friendly times and are largely organised by and for Australian educators/professionals.